When a best-selling celebrity biographer finds herself unable to get published because she had fallen out of step with the marketplace, she turns her art form to deception. Melissa McCarthy stars in this screen adaptation of Lee Israel’s 2008 confessional memoir of the same name. At once infuriating and fascinating, Israel is supported by close friend Jack Hock, portrayed by Richard E Grant. 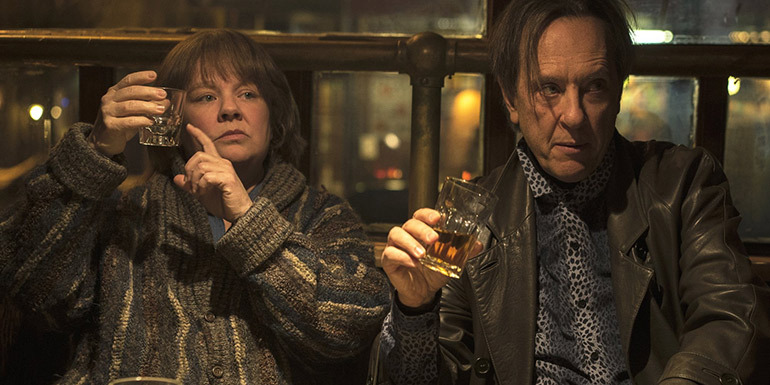 Set in Manhattan in the early 1990s, Can You Ever Forgive Me? is historically informed, witty and fierce. Q4L [quest for love] sees Eve (Kerry Condon) and her young son Max move to Paris: but does Eve want motherhood or freedom? This short film will support Can You Ever Forgive Me?